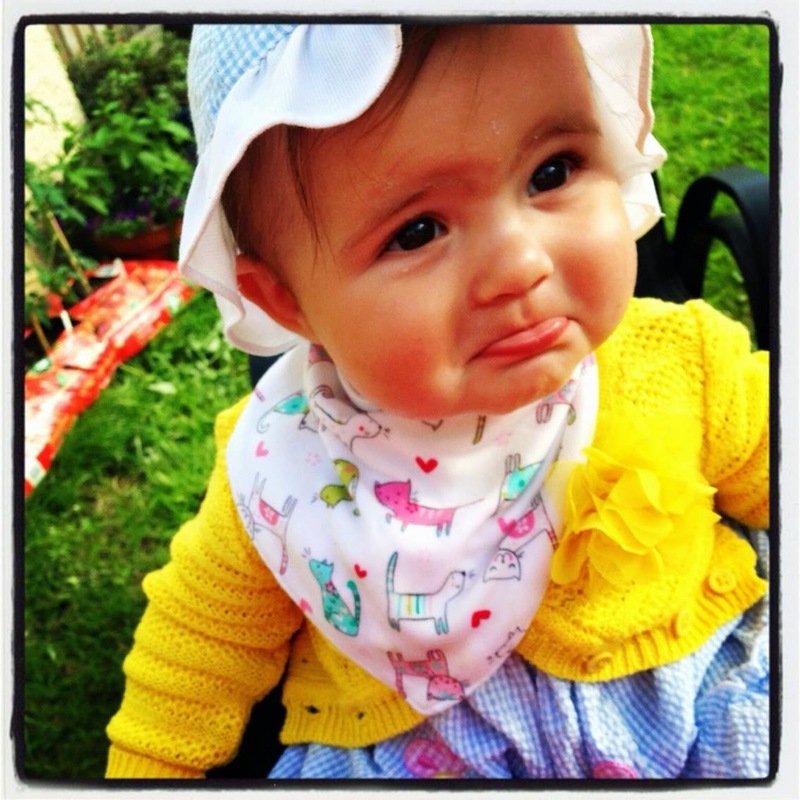 Mrs Helicopter Writes: Childcare Guilt. Childcare guilt. Do you have it? I have it. But I probably deserve to have it. You probably don’t. I spent virtually the WHOLE of August staringly longingly into the future when my children would be in childcare all day 4 days a week and I’d be happily ensconced behind my desk at work. This was because being stuck at home with me in our tiny house, in the rainy summer, when we were all ill and miserable was HELL. Sometimes. Especially when a certain young lady was trying to move, but couldn’t; trying to growth teeth, but couldn’t; trying to not have any any sleep EVER and succeeding. AND. A certain young man was HYPER AND ANGRY AND BOOOOOOOOOOOORED (see previous post). But now she’s crawling and not ill and sleeping and HAPPY! Smiley, happy, giggly Joni Jo! And he’s lovely and compliant, and sweet and happy to play on his own or with Joni or help Mummy and Daddy! And he DOES want to get dressed and he DOES want to put his shoes on and he DOES want to eat his dinner…. WHAT?! Did I get swizzed?! Where were these kids 2 weeks ago?! Now it’s September and I have to work 4 days a week again, possibly with overtime coming up because a colleague has left. I thought…woohoo! Normality! Routine! 4 peaceful lunchtimes and coffee breaks a week! But this hasn’t happened. My NOW delightful children have decided that they LIKE being at home with angry, shouty, frustrated Mummy WAAAAAAAAAAAAY more than stinky school and nursery! BUT FOR WHY?! WHY would they want to be at home with me all day when they can be entertained and given attention and have space to run / crawl around in and endless friends to play with? Well I guess I do understand. A bit. I mean, I don’t understand why they want to be at home with me (I actually think they probably both would rather be at home with Daddy…..Gus confirmed this sorrowful thought for me this morning). But I do understand that going from half a day in school then half a day with me or Gale (lovely childminder) to all day at school then on to after school club 4 days a week is a big jump for Gus. Despite him knowing the school, his classroom and teacher are different; the day is different; there are twice as many kids, half of whom he doesn’t know and hardly any of which are in afterschool club with him. And happy and confident as he is, he’s quite shy so I know it’s pretty overwhelming for him. There have been lots of tears. Pulling away from me and screaming that he didn’t want to go into school this morning…..sobbing yesterday before we’d even left the house, crying when going from school to after-school. It makes me feel SICK with sadness for him. And Joni-ioni. She’s currently (and thankfully temporarily) going to a nursery for 2 days a week instead of 4 days with Gale. She SOBS when I hand her over. Then screams as I walk away. Then sobs when I pick her up at the end of the day. Yesterday she saw me through the window as I arrived at the nursery and bawled her heart out. MEGA SADFACE. When Gus was first at nursery and until about 18 months, he never once cried when I left him. It got to the point where I was actually a little bit resentful that other people’s kids were so sad to leave their parents and he wouldn’t give me a second glance. And I used to glibly tell other parents that their wailing little darlings would be FIIIIIIIIINNNNE once they’d gone/in a few minutes etc etc. But then once Gus’s tears started my heart BROKE! It’s horrendous leaving your child to cry because you are ABANDONING THEM! I feel SO guilty. Guilty that I am not doing the right thing by working so much and guilty that I looked forward to my childfree time and it’s at the expense of my children’s happiness. I know he’ll get used to the long days and Joni won’t be at nursery long (just a month) and everything will be OK. But it’s still there. Climbing into the pit of my stomach. Guilt, Guilt, stinky bloody Guilt. Ugh.